It’s December 31, 2016. Yes, I know it’s been a while since my last post on March 15, 2016. But in my defense, I’ve had a lot going on. And writing was the last thing on my mind, even though it used to be the first thing I did whenever I was going through something. But things change; believe me, I know. I’ve experienced a lot in 2016 (good and bad) and more than anything, God has shown me that through it all, HE has always protected me. If you guys only knew all that I’ve had to endure, not just in 2016, but also in the last five years. It’s unbelievable that I haven’t lost my mind. And sometimes if felt like I had. But God. What I can tell you is that my tolerance for negativity is zero. My compassion level is at an all-time high and my need to help others consumes me on a regular basis. I have more patience, more empathy and more room to love. 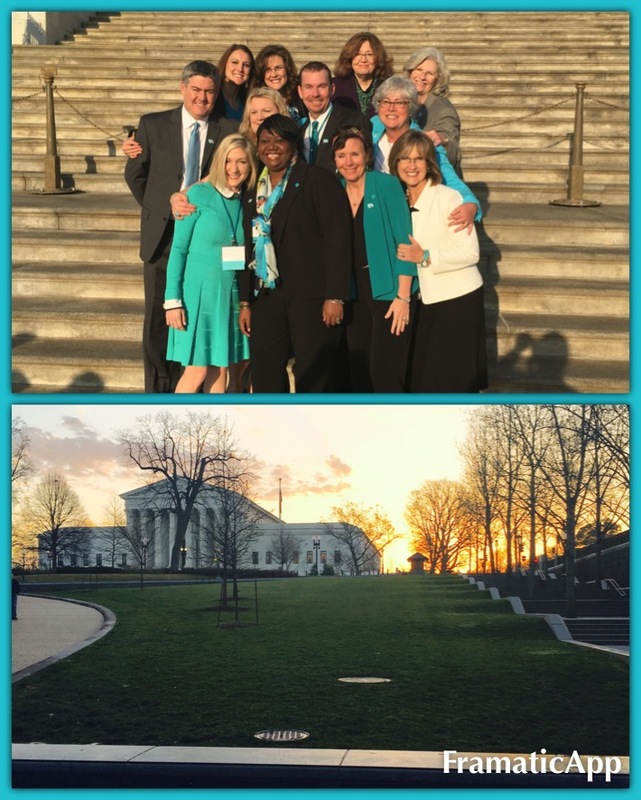 The last time I wrote, I was about to head to Washington, D.C., as the Alabama state representative for the American Lung Association’s Lung Force Advocacy Day. It was a fantastic experience and I am so very grateful to have been able to participate. I had only been on my new job for about two weeks at this point, so I am SO thankful that my bosses allowed me to attend this event, even though I didn’t have ANY vacation days. Since losing mom in 2012, my life has been a hodgepodge of jobs, life experiences and faith-testing exercises. When I was a kid sitting in church, I used to wonder why the adults would cry and get emotional and “thank God” for all that they’ve been through. Well, at the young age of 47, I get it. Lord knows I’ve been through some stuff and through it all, I have maintained my sanity, I think. But I am certainly a different person. I am the same, but different. Hard to explain. But I am thanking God for all of it and I am more than grateful for my family and my friends and even strangers. I am thankful that I have been able to find a place to worship that meets the needs that I have now, not what I needed then. And I am thankful that old friends have become new friends again. My heart is full as I write this because I am wondering what God has in store for me in 2017. On New Year’s Eve 2015, I wrote about “doing something” and basically, I guess I did do something, I changed my direction. Last year, all I asked for was a job that would make me happy and would allow me to get my life back in order. God answered that prayer and it took a while, but not without taking me through some stuff to get there. Let me just say this, the hard stuff is necessary. It hurts, but it’s necessary. It’s necessary so you can appreciate the good stuff. The hard stuff is needed so you can recognize the good stuff when you see it. The good stuff is better after you’ve endured the hard stuff. Of course I don’t pray for hard things to come my way, but when hard things do appear, I know that the good stuff is just around the corner. Don’t let the hard stuff get in your way. If God removes something from your life, just know that it’s to make room for what He’s about to give you. Trust me on that one. I can’t wait to see what God has in store for me in 2017.